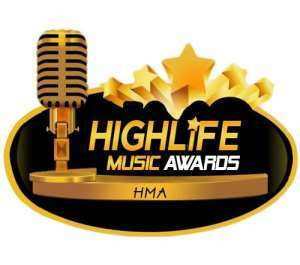 The maiden edition of the Highlife Music Awards has been successfully launched. Highlife is a music genre that originated in Ghana early in the 20th century. It uses the melodic and main rhythmic structures of traditional Akan music but is played with the Western instrument. The event, which was held at the plush Movenpick Ambassador Hotel in Accra on Friday 29th March 2019, was prodigiously attended by a host of Legendary Highlife musicians and Producers. They fervidly delineated the need for new talents interested in the genre to consult the oldies so as to maintain its existence. The awards,organised by Nikills World Multimedia was officially launched by MUSIGHA president, Bice Osei Kuffuor popularly known as ‘Obuor’ with support from Gyedu Blay Ambulley, Dada Bosco and others. The main event will be held on June 22, 2019, at the National Theatre, Accra. Nominees and the process for voting will be released later as well.